Event starts at 8 p.m.
Jomo & The Possum Posse are an award-winning Americana band from Austin, Texas. Their music incorporates elements of Traditional Country, Blues, Rockabilly, and Bluegrass and is typically infused with humor. Primary songwriter and lead singer Jomo Edwards brings a West Texas perspective to the band's particular brand of twang. The band is best known for its viral video series, "Guy On A Buffalo," which has racked up 25 million views and has garnered national media attention. 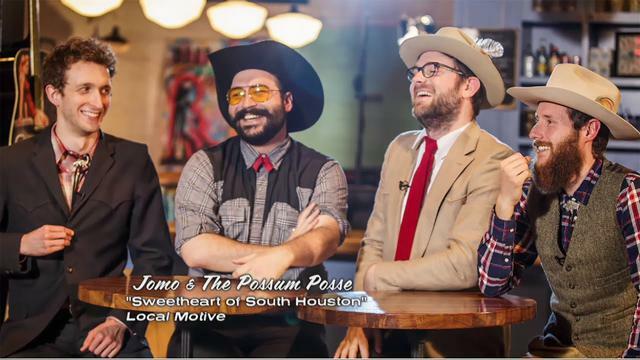 Jomo & The Possum Posse are set to release their unique blend of lighthearted cynicism, dead-eyed soul and anti-machismo honky-tonk. For more about the band, visit their website at www.thepossumposse.com.